If you’ve been injured by a hazardous condition on somebody else’s property, then call this Miami Defective Property Condition Lawyer today. A defective property condition is a hazard on somebody else’s property that could cause you injuries. Property owners are responsible for keeping their properties safe. If they don’t do so and other people are injured as a result, then the property owner will be liable. However, a property owner won’t be responsible simply because somebody else was injured on his or her property. For example, if you are injured on the property of another person or entity because you tripped over your own shoes, then the property owner will not be responsible for your injuries, In fact, in order for the property owner to be liable, there must be a defective condition on the property that caused the injury. If the dangerous condition was caused by a structural problem or a fixture on the property (i.e., a permanent condition), then Mr. Quackenbush may hire a “building code” expert to examine the property. The building code expert will attempt to determine if the property was built up to code. For example, the expert may attempt to determine if the property was constructed safe per the Florida Building Code or the Life Safety Code. If the building code expert finds that the property was not up to code, then his or her testimony can be used in court. If you’ve been injured due to a defective property condition anyplace in Florida (including Fort Lauderdale, Broward County, Palm Beach County, and West Palm Beach), contact Mr. Quackenbush at 954-448-7288. 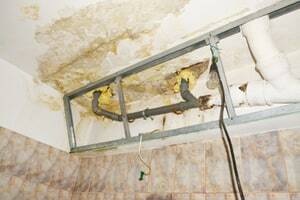 You can receive free advice from this Miami Defective Property Condition Law Firm. Mr. Quackenbush will not charge to talk about your case. If your accident was caused by a fixture (i.e., something permanent) or a structural defect on the property of somebody else, the defense may argue the “Slavin Doctrine.” This doctrine indicates that, if a property owner purchased the property from a contractor who built/constructed the property, then the property owner will only be responsible for “patent” (i.e., obvious) defects. That is, if there was an obvious hazard on the property when it was purchased by the owner from the contractor, then the owner will be responsible. After all, if the hazard was obvious, then the owner should have noticed and corrected it. On the other hand, if the hazard was “latent” (i.e., not obvious), then the owner will not be responsible for it. After all, if the condition was latent, then there may have been no way for the owner to notice it. In that case, it will be the contractor that built/constructed the property, rather than the owner, who will be responsible. So, if you’ve been injured by a fixture or other structural defect on the property of another person or entity, who you will be able to pursue a case against will depend on whether the hazard that caused your injury was patent or latent (if the condition was latent, it will be the contractor that constructed the property; and, if the condition was patent, then it will be the property owner). Also, if your accident was caused by a fixture or other structural defect in a store, restaurant or other business establishment, then it may be the property owner/landlord that will be responsible (rather than the business/tenant itself). This is because the lease between the landlord and tenant may say that it is the landlord (rather than the tenant) who has the responsibility of fixing fixtures/structural defects. If your accident was caused by a transitory defective condition (i.e., something that was only temporary, and not permanent), then you will need to prove that the property owner had notice of the condition in order to be successful in your case. After all, if the property owner didn’t know of the condition, then there is no way that he or she could be responsible. Secondly, you can prove that the property owner had constructive notice of the dangerous condition. You can prove constructive notice if you are able to show that the property owner should have known of the dangerous condition. You can prove constructive notice on the part of the property owner if you are able to show that the dangerous condition existed for a long enough period of time that the property owner should have known of it. Further, you can prove that the dangerous condition existed for a long enough period of time using circumstantial evidence (e.g., dirt or tracks in water on the ground/floor). If you’ve been injured by a defective condition on the property of another person or entity, the other person or entity may argue that the dangerous condition was “open and obvious.” That is, the property owner may argue that you should have seen the dangerous condition and avoided it. This is a type of “comparative negligence” argument. The defendant may argue that, because you didn’t avoid the dangerous condition, you were comparatively negligent for your own accident/injuries. In other words, the defendant may argue that you were at least partially at-fault for your own accident/injuries. If the jury in your case agrees, then it will be asked to divide up percentages of fault. That is, the jury will be able to assign percentages of fault to both you and the defendant. For example, the jury could divide percentages of fault 50/50 between you and the defendant, or 90/10, etc. Whatever amount of money you are awarded by the jury will be reduced by your percentage of fault. For example, if you are awarded $100,000 but receive 50 percent of the fault for the accident/your injuries, then you will only receive $50,000. Should you be hurt by a defective property condition anywhere in Miami-Dade County (including Aventura, Coral Gables, Cutler Bay, Doral, Florida City, Hialeah, Hialeah Gardens, Homestead, Key Biscayne, Miami Beach, Miami Gardens, Miami Lakes, North Miami, North Miami Beach, Opa-Locka, Palmetto Bay, Pinecrest, South Miami, and Sunny Isles Beach), dial 954-448-7288 to talk to Mr. Quackenbush about your case for free.